If you take a trip through our reviews section and dig real deep, you'll find that we've consistently rated LG's finest very highly. The flagship G line in particular has never been rated lower than 9 out of 10. That's a fantastic track record! And yet, LG is far from anything approaching a juggernaut within the mobile space. Sure, the company reported a tiny increase in sales volume for Q4 of 2015 compared to the same period last year, for a total of about 60 million units, but avoided reporting on the profitability of the arm. Overall, the company made a few hundred million last quarter, but the majority of the dough came from its home appliances and air conditioning divisions. Obviously, we're speculating here, but it's certainly true that the company has been unable to nibble at Samsung's share of the pie, and exotic and far-away makers from China have managed to overtake LG—in terms of sales volume if not actual profit. So we have a company consistently churning out critically acclaimed flagships that somehow still hasn't managed to make serious enough money—at least not enough to brag about. Does that mean that LG smartphones are being under-appreciated by the wider public? 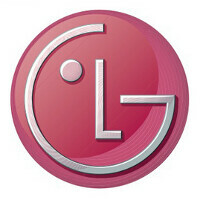 Or do you think LG sales are just about where they ought to be relative to the flagships they produce? Or is it that it's something specific that's holding them from cashing in? The public is ignorant and accepts the limitations of Samsung (S6 and on) and Apple products. The recent X-Files episode (Were Monster) showing a smart-phone purchase transaction is not that far off base. LG G5 is THEE phone of 2016. (I've been samsung only since 2009) Removable battery, metal, fingerprint scanner, MicroSD = WIN !!!!!!!!! I won't buy a smartphone with on-screen buttons, period. Never liked the trend. Hopefully it will be gone, alot of company's are coming back on it. You're really limiting yourself by not buying ANY phone with on-screen buttons. Might I ask why you have this bias? I have only ever used on-screen buttons and can't say it's really been an issue. The power button's still always a physical button for if the phone becomes unresponsive. And LG is mostly about the on-screen hype. Yes, The V10 is indeed underrated... Its a better phone than the likes of heavily overrated Samsung Galaxy S6 and its all siblings (Edge, Active, Defective or whatever blah) and yet I've yet to see a single person rocking this smartphone...! Such a shame considering its secondary screen is a blessing, and reminds me of outdated & out-fashioned flip phones which show basic notifications on smaller screen that always stays on! Way better than Smartphones with Edges & stuff...!!! How is it underrated when it suffers from 3 major issues? 1- light bleeding from the secondary screen 2- same battery as the G4 when it has an extra .2" of screen size and that secondary screen, which reslted in a pretty poir battery life for a 2015 phablet. 3- fingerprint won't work with the majority of 3rd party cases!! Not to mention it's size, weight, and that horrible UI. And you should crawl back to your cave if youe truely believe it is better than the S6 Edge+, which has a better screen, camera, design, processor, and most importantly, a far superior battery life. I said better camera, and far superior battery life. Does this "Greenman" Crap knows what he's talking abt? I honestly dnt think so! They so some things so right, but then turn around do others so wrong... For ex. The LG G Stylo... Why even offer it with 1gb of ram and 8gb of rom? You can bearly have it function and it starts missing calls and texts. Now, the LG V10... So right! Dual front camera. One with a beautiful wide angle sensor. The camera app is good. The whole package is amazing. IMO. Rugged, Good Lower, Good Battery, etc... I love it. I know Samsung does this too, but when the low end leaves a sour s**t taste in your mouth. You begin to lose interest as a whole. Flex 2 was one of the most underrated phones of 2015. Hardware is pretty solid, software is a different story. and vice-versa with the LG G3! they just hadn't that consistancy, LG2 in fact just besides the fingerprint magnet that it was, it shined in everything else! LG is definitely underrated, just look at the amount of LG articles compared to Samsung and HTC. Also work for T-Mobile. Also can't stand how engrossed people are with Apple and Samsung. actually i like the UI, i have tried android stock ui and i prefer LG UX. Lollipop material design was not even out and they were already using it, and it works better than those sharp UI found in Sense and Z! To me, LG is like a younger Samsung. They have nice hardware, but they are seriously lacking in the software. The LG UX is sluggish and not very nice to the hardware. When I switched to Verizon and got the G3, I was expecting greater things from the SD 801 & 3GB RAM than I was experiencing on the Note 3 I had when on Sprint. G3 took a dip in smoothness, but with marshmallow even the 2GB-variant is smooth as silk. G2, G4 and V10 is smooth sailing, so if that is your only concern, you don't need to worry.